Hello to all our Beverly Hills locals! 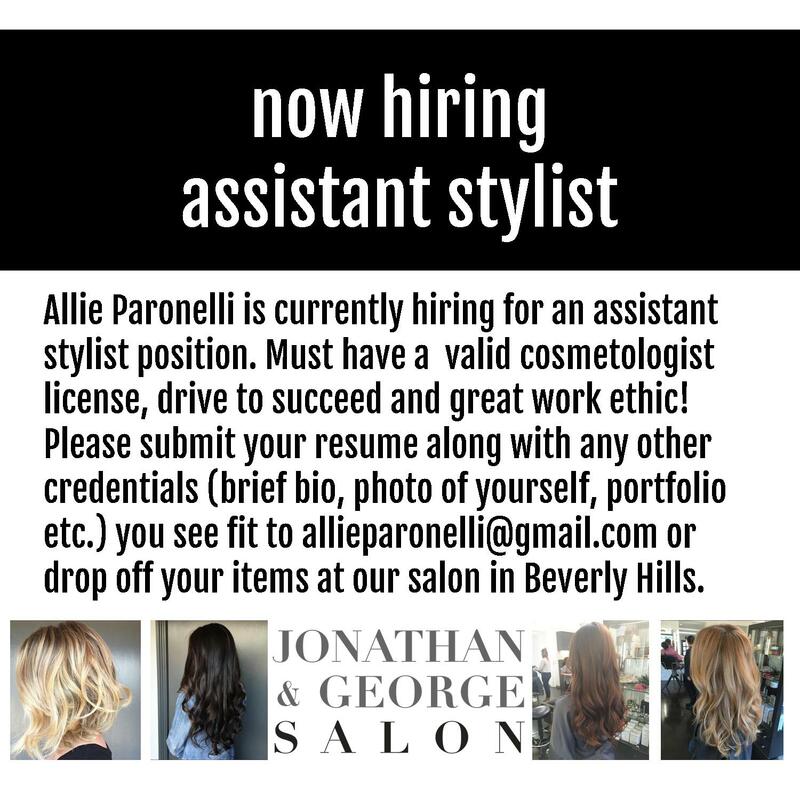 Allie Paronelli is looking for an assistant stylist to join her! Applicants must have a valid cosmetologist license, a hard work ethic and be motivated to succeed. Please submit resumes along with any other credentials (brief bio, photo, portfolio etc.) you see fit to allieparonelli@gmail.com or drop off your items at our salon in Beverly Hills. Thank you!